I cannot write even a single letter. It becomes the Friend of your heart. His Vastness has no bounds and is infinite. Silence fails to even comprehend Him. That is experienced by all. Whoever surrenders is never born nor dies. We all face difficulties sometimes and it can lead to hurt and pain. We never know how to deal with it. What would be the best solution, or even the route to a solution? For me, my spirituality has never contained the element of having a conversation with the Formless. For me, the Formless is what can be called God, in fact it has many names but yet remains nameless. Without form and name, it presides everywhere and is within everything. This Formless is my support at this very time as I go through one of the toughest moments of my life. This morning I woke up, and I do my 2 pages of morning writing, where I let my thoughts go wild on the page. It normally turns out to be like a journal but it helps keep a flow in what is happening within me. After reading this in the evening, my wife and I, meditate on the Formless for 10 minutes or so. It helps us get back into focus on what is happening and to be in the moment. It allows us both to connect spiritually and deeper than anything a verbal conversation can have. This morning I felt I needed a bit more than meditation. I decided to have a conversation with the Formless. I just let everything out that was in my mind, I cried and felt the immense pain of losing my Beloved Guru – Baba ji. Whenever I was going through a crisis, He would have been the first person I would speak to. Sometimes, when I felt low, He would be the one to pick me up. Today, I felt in the morning that He was no longer here and I felt alone, deeply alone. My support that I had with His physical form was gone, vanished and would never occur again. Then something remarkable happened. I felt His presence, I felt His caring nature and voice telling me that everything is okay and that I must keep faith on the Formless. I must accept and do as He wanted me to do. He told me that He had always been proud of me and that He had to leave for the collective. Those that had His personal attention will always be looked after by Him. All I had to do was concentrate on creating this relationship with the Formless. Whenever I would remember the Formless, He promised me that He will be there for me. The beauty of Hardev remains in the Formless. It’s about having a conversation and I felt the stress, the worries, the anxieties evaporated as His presence entered and I can feel it right now. I can feel His embrace, the one I have missed for over a year, finally enter my heart. This is all I needed to know that my faith will never falter. When we go through problems, whether you believe in God or not, having a conversation with yourself, out open in the air may be a logical thing to do. Yes, it may look silly to a passerby but who cares? Your wellbeing comes first. You will be able to let your repressed emotions become expressed. Speaking to the Formless is the real prayer. This Energy, which is Fullness will illuminate your life. All it requires is a little surrender. Letting go of your ego and mind and allowing the Formless to work wonders within you. The way to converse with Nirankar (Formless) is simply in the knowing that This Energy is here and now. Being aware of This, you are able to fully involve yourself into revealing your innermost feelings. I know that somedays I may never get an intuitive answer but whenever I do, I will feel complete and inspired again. I will be full of positivity because my Beloved is always within me and His love can never diminish. It will continuously spread, evolve and reach every human heart. Try it and have a conversation with Nirankar and see what beautiful pearls of wisdom arises out of it. The moment I am in His presence, a dance occurs without steps, music occurs without sound, poetry occurs without words and my head bows to His feet – where all blessings are received. 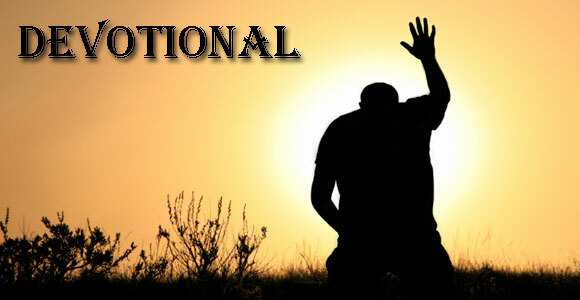 Bowing the head to the feet of the Spiritual Master – a sacred ritual that heightens a seeker’s spiritual experience. Why? The head which is the house of two things – one the ego/mind or the third eye. Once my head touches His lotus feet then I am submitting my ego/mind for the Divine Vision – the activation of the Third Eye. The past two months have been unexplainable. All I know is that something within me has changed and access to a Higher Dimension has been opened with the kind Grace of the Beloved. The Beloved has shown me a love that I have never experienced in my life. This heartbreak has shattered my heart into billions of pieces but yet my heart has never felt as fulfilled as ever. My Master, my Beloved who I used to experience only as the Form – His human form as an object of worship, He has opened a new dimension where He Himself has become Formless – the very essence that He points to all the time. In recognition of the Formless much is discovered if one is willing to explore into the Nature of this Reality. Let me put it frankly – enlightenment is not an option. You were born enlightened and you must die enlightened. Enlightenment is what God is. Realisation of the Formless is enlightenment. So when your Guru becomes Formless for you then you have entered an interesting phase because this love has no opposite, it has no end nor a beginning, it has never been born and will never die then you are entering a new dimension. You have attained something and now you must come to terms with it. 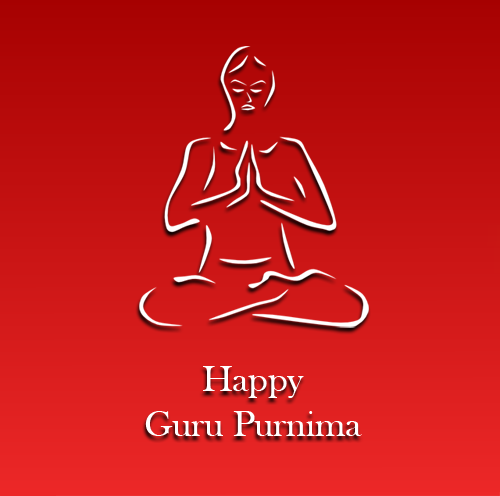 I love my Guru like anything. I am very attached to the Form more than I should be. However, He has changed this and now He is experienced in the Formless, He is everywhere and His beautiful Form is always seen and felt. This dimension is vast and I know the next steps because the Guidance of the Guru continues. Remain open so He can answer and change your life. If you stop at one place, or one dimension then you have limited the Guru but how can you limit the Limitless? It is impossible. You have to go beyond all dimensions to then enter the state where it is dimensionless. Only then is the Formless perceived in full glory! What a glimpse! What a vision! 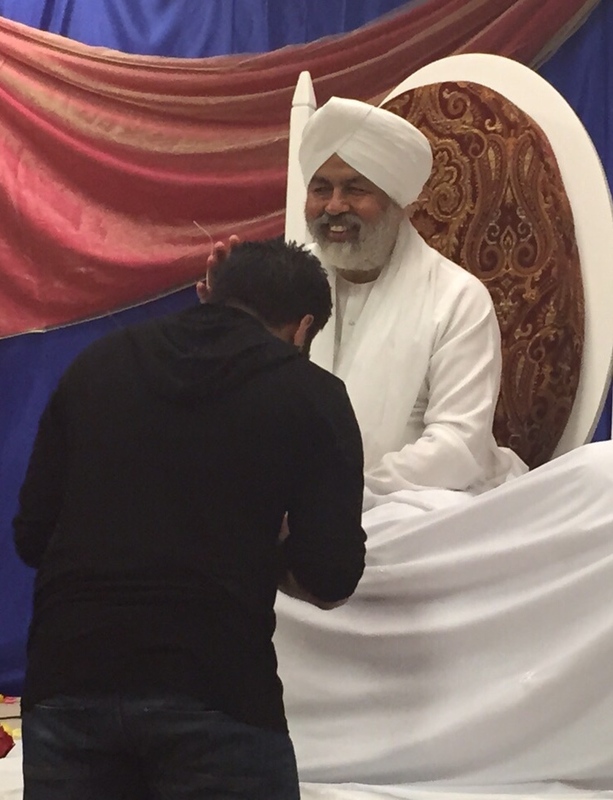 I bow at my Master’s feet – this is where all treasures are! I am in constant meditation, His remembrance is happening automatically and my mind and body are coming to terms with it. Oh Formless Beloved, only Your kind grace and blessings can calm this tempest! Rahul makes this declaration my friends! Nor rain and wind to rustle the trees. All He did was walk ahead of me as if in ignorance. Or was I about to lose to the wavering mind? Stood still by the tree as if seeking permission. Was I about to receive the Teaching I longed for? I had no desire but to learn of the Artist of this Art! Nor a sign or a hint to offer as a guide. Little did I know what was in store for me! My senses defeated so who am I? Colours of mist appeared never seen before. Not because He is first and I am second. His feet bruised and my feet untouched. What do I do amongst indescribable colours? A clap and the blossom rained from above. I had finally realised who I am. The Truth comes to you not the other way round. Do we realise its access is eternal-bound? Until then the Guru is everything you do not seek. Losing your balance is it He that you will hold? This is the objectivity the Guru requires. Just a Formless Self an endless Presence.